Listen to APN's briefing call with Professor Matti Steinberg, an expert on Palestinian politics and political ideology. 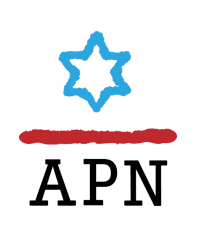 Don't miss APN's briefing call with David Pollock of Washington Institute for Near East Policy about the impact of incitement – both Palestinian and Israeli – and about ways to reduce it. Listen here. Read and share the"Is Peace Possible?" chapter from APN’s landmark publication, “They Say, We Say”. Read Yossi Alpher's answer in the July 7 "Hard Questions, Tough Answers" to How would you characterize the role played by incitement on both sides? Hagit Ofran's Speech at the Rabin National Memorial (November 12, 2011); video of speech (Hebrew with English subtitles) here.